Lately I’ve had this urge to experiment with Orchids. Not anything involving lab beakers, chemistry equations or anything dangerous mind you. More like something creative and classy. Speaking of chemistry, did you hear about the chemist who was reading a book about helium? He just couldn’t put it down. One of my dad’s goofy jokes…sorry. 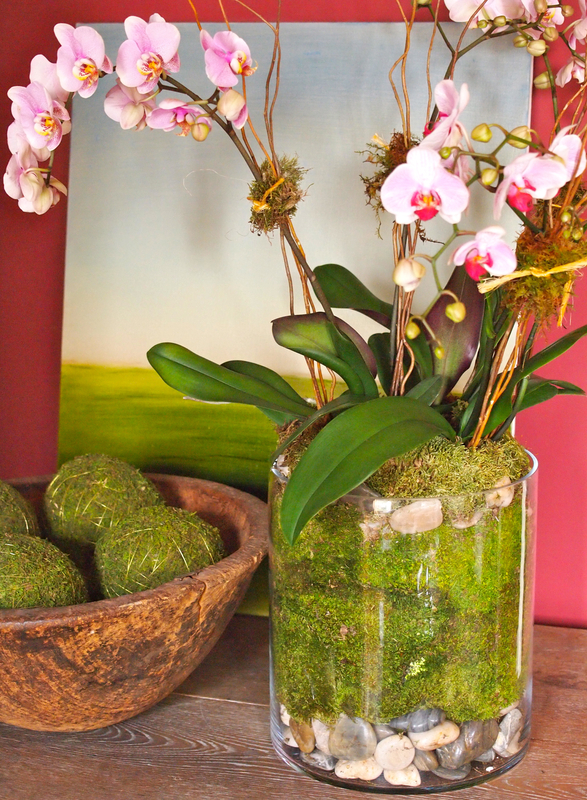 Place a layer of river rocks on the bottom of the container then line the sides with sheet moss. Using clothes pins, clip the moss in place at the top rim of the container to keep it in place. 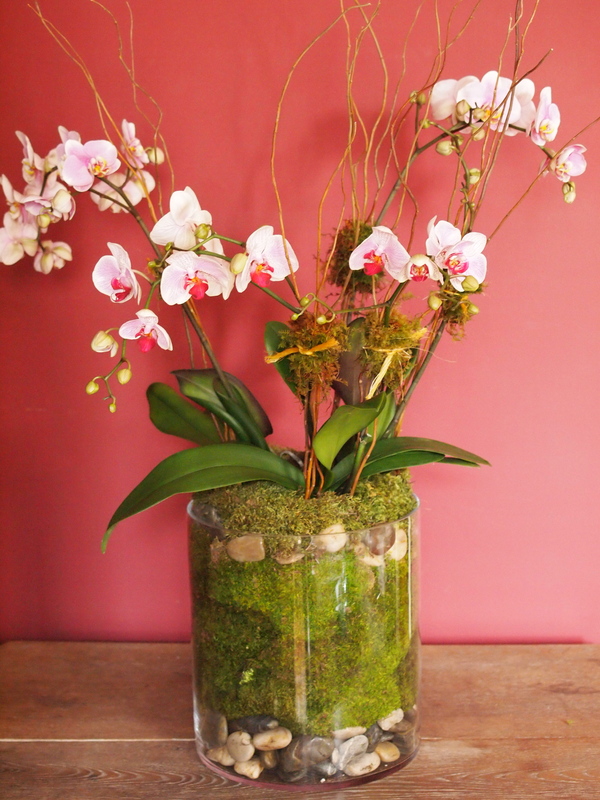 Fill the vase with orchid potting soil. Insert the orchids into the soil mixture. Remove the clothes pins and finish off the creation with more moss to hide the soil. 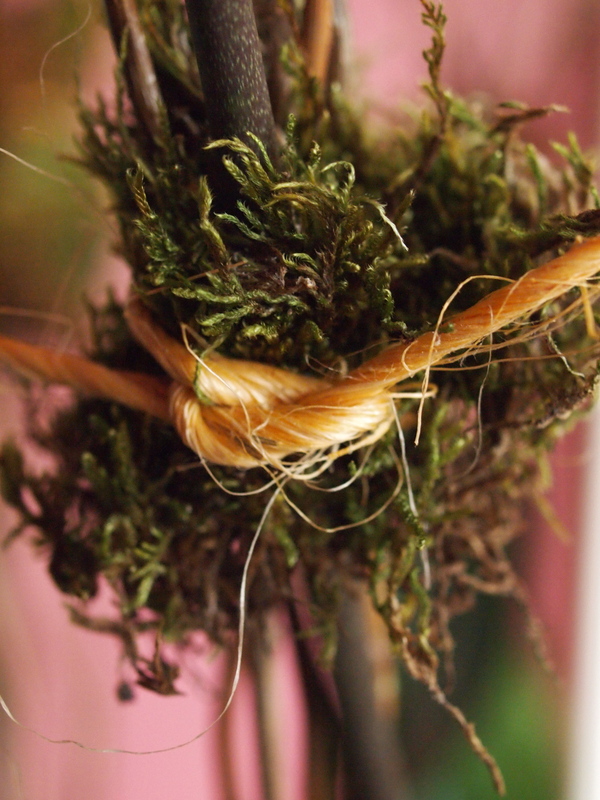 Stake the orchid flower stems with sticks (I used curly willow branches) and tie them off with some moss secured with twine. 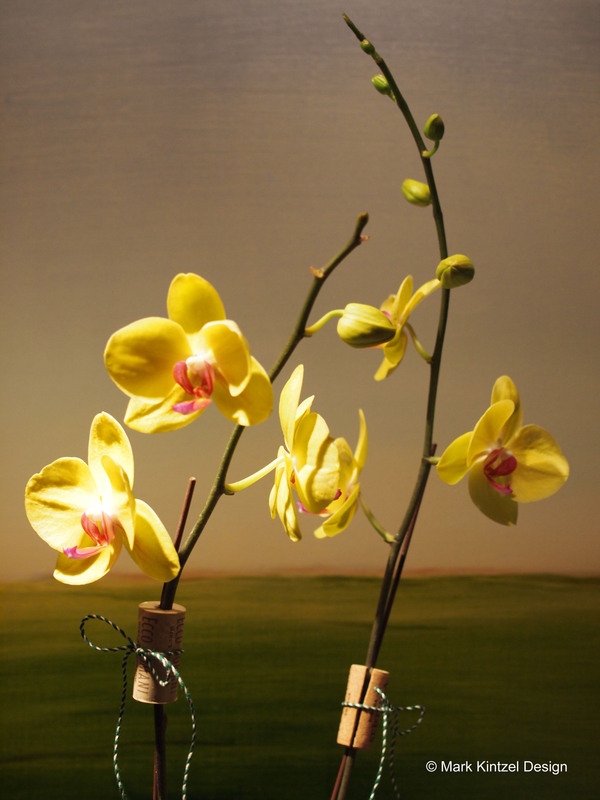 PS: the moss/twine suggestion looks much better than the standard orchid clips usually sold with the plant. Most orchids come with care instructions but my best bit of advice to keep them gorgeous for weeks on end is to keep them out of direct sunlight but in a well-lit area. Water them once a week by placing three ice cubes (that’s 3 cubes per plant) on the soil.